Persona. 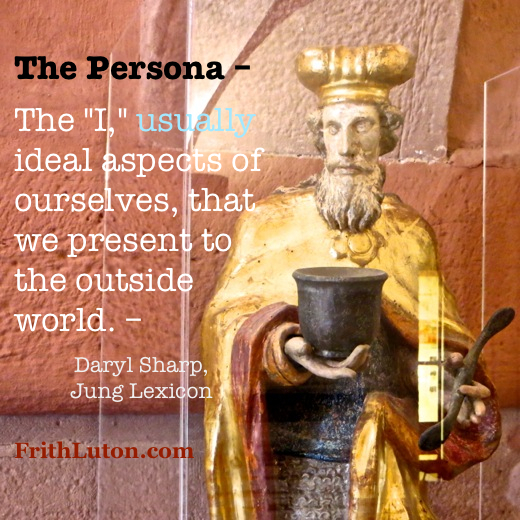 The “I,” usually ideal aspects of ourselves, that we present to the outside world. A psychological understanding of the persona as a function of relationship to the outside world makes it possible to assume and drop one at will. But by rewarding a particular persona, the outside world invites identification with it. Money, respect and power come to those who can perform singlemindedly and well in a social role. From being a useful convenience, therefore, the persona may become a trap and a source of neurosis.